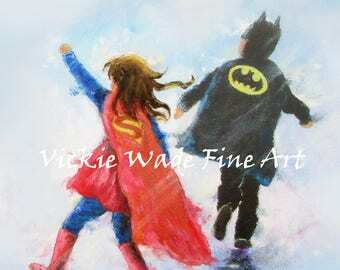 Hurray for super heros! You may have a couple in your family too! 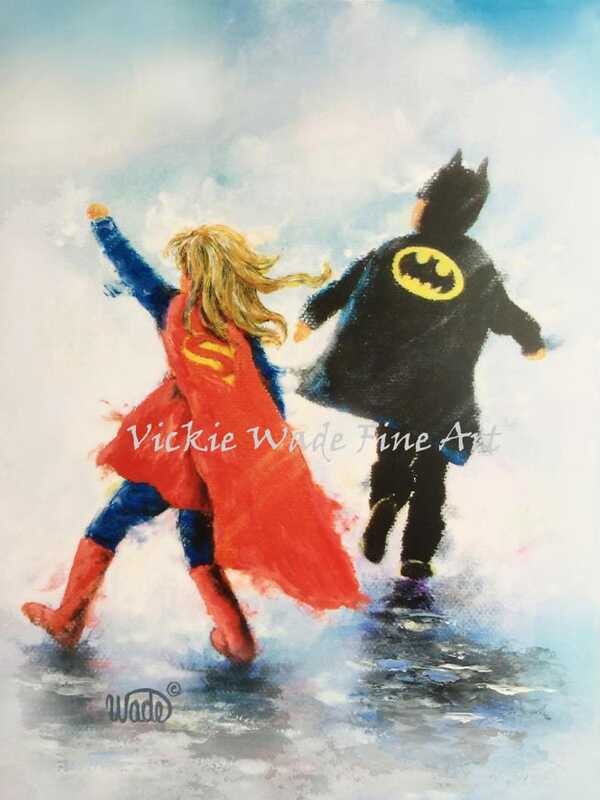 "Super Hero Blonde Girl and Boy" is a large fine art print of an original oil painting of mine. * "Rain Sisters" ships in a protective cello sleeve rolled in a sturdy tube. 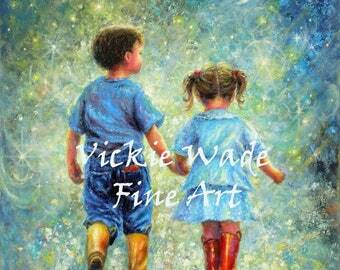 ***If you buy any 2 large prints you can choose a 3rd large print for free. (Don't purchase the third print or it won't be free!)... Just let me know at checkout in the note to seller which free one you'd like!